J’ai acheté un iPhone 3Gs vendredi matin, je l’ai utilisé normalement et il y a quelques jours, j’ai fait le test de plusieurs softs d’avertissement radars dans la voiture où j’étais passager, les softs utilisaient la puce GPS ainsi que la 3G, au bout d’un moment mon iPhone était TRES chaud, pas brûlant mais très chaud. J’ai bien entendu appelé le service client Apple qui ne me propose rien de plus que de me priver de mon mobile pendant 5 jours pour l’analyser par leur équipe d’ingénieur. 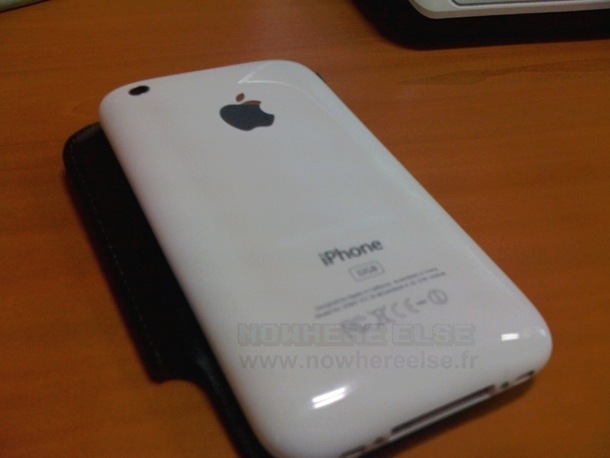 Possesseurs d’iPhone 3Gs, avez vous également rencontré ce type de problème avec votre mobile? 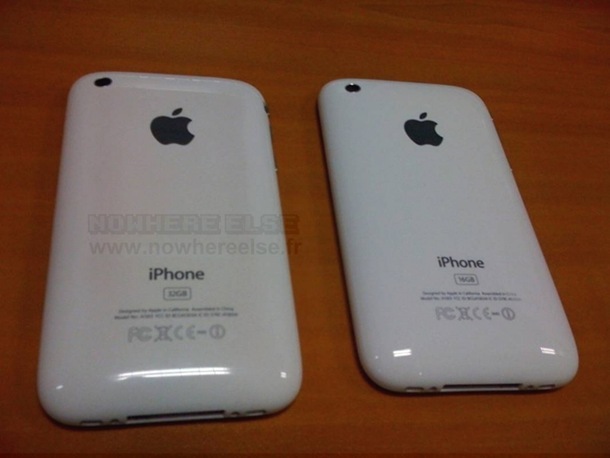 iPod Touch 5 : Un écran de 4 pouces pour le nouvel iPod Touch ? 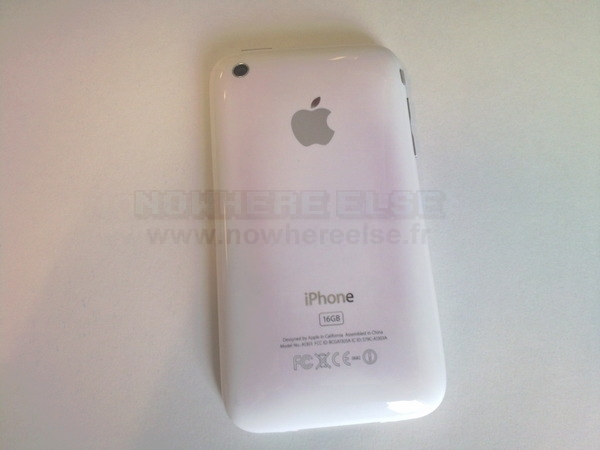 Le nouvel Iphone 3GS, avec un S comme Speed ou comme Surchauffe. Un processeur plus performant et un système de dissipation identique, fallait pas s’attendre à des miracles. Perhaps the « S » stands for stain? 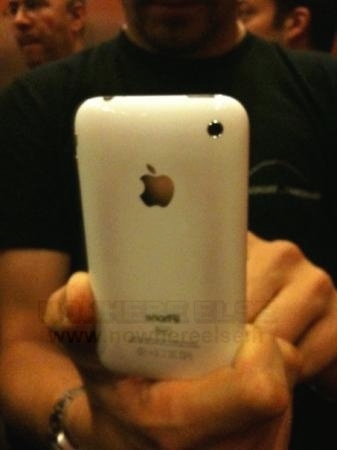 I have a white 3gs – noticed it was super hot yesterday – but it hasn’t turned brown yet. And the 3gs is way faster than 3g – crashes less in safari too (more memory). My black 3GS got really hot and was sucking battery down while 3G was enabled and I was using a GPS enabled (Geocaching) app. My iphone also overheated when i was on wifi with the cable on. The phone was ablsolutely hot and unusable at the point. I wonder, whether apple would recall these ?? Well I’m not with the rest of you but I have a touch upgraded to 3.0 and when I play music and use facebook it gets really hot and the white apple on the back is fading and shrinking a little weird. Il faut le sortir plus tôt du grille pain ! j ai le iphone 3GS blanc et les rayures au dos sont grises alors qu’ill n est jamais tombé. @Yomz: Salut, ayant trouvé ces photos sur Mac4Ever et le JDG j’ai (comme il se doit) cité ces sources. Ajouter un watermark aux images est nécessaire au suivi de la diffusion de l’article à travers le web ainsi qu’une manière de s’assurer que NWE, dans le cas ou il est la source d’autres sites relayant l’info, est cité par ces derniers. J’allais te répondre, pas de soucis je n’avais pas vu ton message. Merci sur e point. Le proprio de l’iPhone est @Opium84 contacte le directement. Il n’a pas donné son iPhone à Apple d’ailleurs. Au risque d’avoir chiant, mettre un watermark sur des photos qui ne sont pas de toi, c’est quand même vachement limite. T’as beaucoup de sites étrangers qui utilisent les watermark, mais c’est pour protéger leur travail, les photos qu’ils ont pris eux-mêmes. Là, le fait que tu en foutes sur des photos qui ne t’appartiennent pas, c’est quand même pas génial. Perso, j’ai lu ton billet après celui du JDG et ça m’a pas mal déçu. Je suppose que je ne suis pas le seul à avoir réagit comme ça. Y’a pas mort d’homme et sur ce dossier ça m’est égal, mais tu comprends que retrouver mes photos envoyées au Journal du Geek et un ou deux autres sites sur le tien, avec ton watermark, ça fait drôle. J’arrête là, pas de souci, le but étant de relayer l’info pour mon collègue et ami. Mon 3G 8Go fonctionne très bien lui ! @Stagueve : Ouais, je sais bien que tu te fous de l’opinion des autres mais tu me connais assez pour savoir que j’aime bien dire ce que je pense, comme je le pense. Perso, je m’en pète un peu des watermarks, c’était juste mon opinion personnelle. The marks look more like someone set their phone down on a hot surface than were caused by internal components. I doubt if there is any internal part that surounds the case in a pattern like that, but that is how where the most heat would develop if the phone was accidently placed on a hot surface. And these phones are tested before they’re sold. I’d be quite surprised if Apple never ran a phone at max capacity (battery life test?) until the battery died. The discolored iPhone is my colleague’s 3GS. The picture on a white paper is mine. I took it on Friday’s afternoon. He didn’t misused the device, he didn’t put it in a microwave oven or on any hot surface. The color appeared from the inside if I can say. There is no con, fake or hoax here. Feel free to ask for more. You should vote on letsfixthis.com as its the same issue. Besides Apple tests it’s iPhones on full power and full temperature extremes extensively for lengthy periods of time obviously before even coming close to releasing a factory version. And yes, they get HOT! Some people will try anything… Hehe. Europe has been experiencing a heat wave the past 2 weeks… Beside there are color components in the iPhone which can tell if it has been abused by water or excessive heat. Maintenant j’espere que Apple va changer. 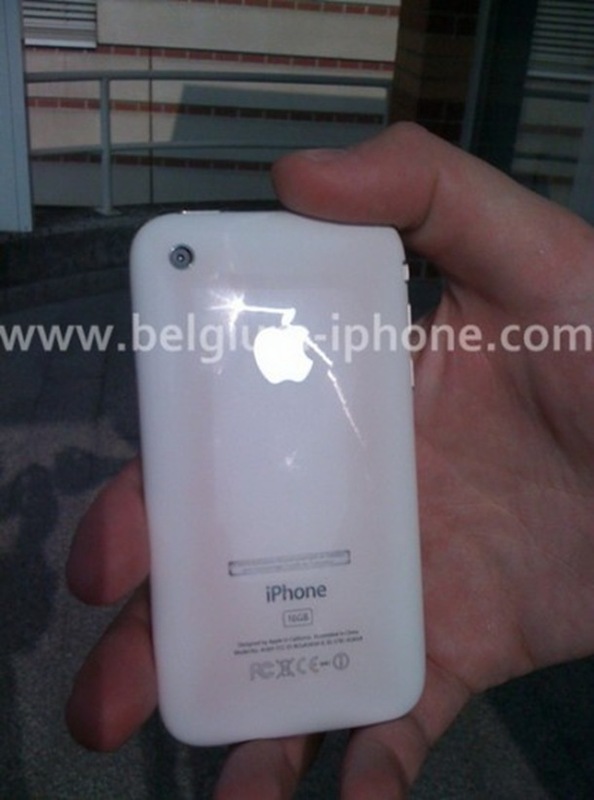 Same problem here, iPhone 3GS bough wednesday morning and on friday morning i noticed the big wide pink stripe. Now i hope that Apple will change my phone. I agree, the S is for stupid… The whole thing is stupid in fact. But, if (the discoloration) doesn’t have to do with burning then why is the article about overheating in the first place?! That’s why you’re buddy is getting so much attention in the first place, isn’t it? However, it is difficult to imagine what else could be inside of the phone besides ‘Gremlins’ which could cause such a bizarre, mysterious, ghostly ring. And since there is no arsenic or other toxic chemicals within the iPhone 3G S itself which can (combined with heat) create magical rings on hard plastic it’s difficult not to except the factual reality of physics. Good luck, but now I’m bored. And how would you categorize my miscoloring on my brand new 16GB White iphone bought Wednesday in SFR/France? If there was picture uploads here there would be no doubt as i could upload a picture s of now. I’m sorry for sounding rude before, it’s just that I’ve been researching and looking and trying to find out what could possibly cause such a strange phenomenon on your buddies phone. I suppose anything is possible, it’s just difficult to imagine what could have caused it given the technical specs and facts about the iPhone 3G and 3G S.
I personally have had the white iPhone 3G for about a year and even though there are variations/upgrades in some of the components, the internal makeup is similar at best to the 3G S and I have to say that I haven’t noticed anything other than scratches on the back of mine. But, scratches are really REALLY irritating as well. It seems like all you have to do is put your phone on the table and pick it up again and it will be scratched. I wish Apple would do something about that! I do feel sorry for your friend. The phone is really amazing and I guess he paid a lot of money for it. I sure wouldn’t want something like that to happen to mine when I eventually upgrade. CoOLnES > Peux tu faire des photos du problème ? Erich > I don’t have any clue on what caused the discoloration… The only thing I know is that I saw the discoloration and in 6 days the owner couldn’t have made this from leaving the device at the wrong place or stuff. I just posted some pics to get answers or ideas + sharing with other cases as COOLnES just did. If this does not work i’ll post an image tomorrow evening once back home in Paris (in London at the moment). F.Y.I, pictures is from this morning, 28th of June. It’s a special French version of the phone, because Steve Jobs loves crème brûlée. Aww get an iPhone all worked up, all hot an bothered… and it blushes…. Well they say it’s the battery which has caused the discoloration after all on your buddy’s iPhone. A defective battery which matches the shape of the discoloration on the phone. Something about the expanding properties causing heat and eventual damage over the long term to the phone. Eventually the phone will just stop working all together. Apple will probably do a recall of the affected units before long after they figure out how wide spread and serious the problem is with the batteries. They will want to do it sooner than later I should think before affected iPhones start burning out and stop functioning completely or it will be more costly for them. Apparently it could have been an entire series of batteries which were put into production numbering potentially into the thousands. So anyone who has a super hot iPhone should probably be prepared to leave it in before long. The « best » smartphone of world can be Hot hahahahaha!!! OMG … Damn it !!! I bet Erich feels like a complete idiot now that this has been confirmed. Apple even built in an emergency shut-off when the phone gets too hot. Also, they underclocked the processor in order to cut down on the extreme heat the phone can put off. Maybe it has the same processor as the 3G and Apple overclocked it or it has a faster processor but Apple further overclocked it. Maybe there wasn’t enough cooling. Yes mine did that too! it like burned my hands too! i took it back and got a Nokia E71 ! it rocks! I felt like I might have been wrong in prematurely assuming that yomz’s friends white iPhone was sabotaged, but lets see how much of an idiot I feel like AFTER Apple’s assessment of the overheating. No guys the S stands for « suckers ». För några dagar sedan blev en rosafärgad iPhone förstasidesstoff världen över. Nu visar det sig att missfärgningen berodde på skyddsfodral av låg kvalitet. Translation: A few days ago a pink colored iPhone was on the the front page of websites across the world. 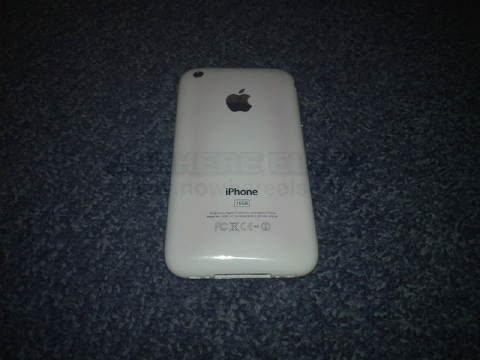 Now it is known that the discoloration was a result of a low quality protective case. I guess the S was for scam after-all and I’m not the idiot that ‘la douche’ thought I was. It also says that the warning that Apple recently submitted about using iPhone in temperatures between 0 and 35 degrees celsius is normal considering other manufacturers like Nokia warn people about using their devices in temperatures between 15 and 25 degrees celsius. So nothing funny there either… In fact the iPhone is under-clocked from 800mhz to 600mhz to prevent permanent damage and a warning screen will appear saying, « iPhone needs to cool down before you can use it » if it exceeds the recommended temperature. Stop saying that overheating caused the discoloration… It’s been proven already that the cover on the iPhone caused the pink color when the phone got warm. Just clean it with some alcohol and a damp cloth and stop complaining already. After numerous calls to Apple technical service and maintenance of contact with a level 3 (engineer) the problem seems to come not from a hot 3GS but contact with some covers! This was evident by ourselves on a device with a small sticker (a warning not to listen to music too loud) remained stuck, part of the hull below remained white. A simple solution to the problem is to clean the back of the iPhone with alcohol, tested by myself I can confirm that it works and reassure you it is safe for your precious. + 1 Madinfo , pathétique …. I bought my 3G S on release day, i live in the NE of England (deffo not hot) i look after my iPhone and do not use a cheap case. Last evening I put my my phone on charge (@45%) and left it for about an hour, on picking it up I immediately put it down again due to it being so hot, removed it from charge expecting it to cool down. It did not cool and started emitting fumes, I took what action I could to cool the handset without damaging and once cool the phone no longer works. Coincidentally there is an article in a UK national newspaper (Daily Mail) which lists similar events. Erich, it is good to have an opinion but just because something has not happened to you, does not mean it does not happen. As for scamming, I am without a £440 phone and a lot of useful information to aid me, I could think of a better scam. Sorry about your phone Alby. Haven’t heard much news lately about discolored overheating iPhones, so frankly I’m surprised to hear from you… But if yours started fuming and is dead, you should definitely take it back and get it replaced! I would. As for all my friends who have the iPhone 3G S, none of them have any of the problems like those that were written on this forum back in June. Either it was a fluke which happened in certain factory examples or Apple has fixed the problem. Either way, If I were you as I said I would definitely take the thing back if it’s dead. Apple has diagnostic tests it can run to determine if your phone overheated because of faulty construction or abuse. If it’s faulty construction then it will be replaced under Apples warranty. J’ai rencontré le même problème avec l ‘app détecteur de radars « Avertinoo » l’iphone était brûlant, pratiquement intenable. Même soucis lorsqu’il est en chargement sur son socle. Erich are you some sort of apple representative? who are you and why do you so fiercely defend the iphone? you talk like you know all and that everyone should listen to you. dont try and discredit someone saying their phone got discolored or overheated. you dont know them. you dont know the circumstances. get a life mate. I’ve noticed that my 1 month old iphone 3GS gets warm sometimes, I wouldn’t say really hot yet bothersome nonetheless. I had my iPhone 3gs for only 4 months. I noticed the phone would get extremly hot all the time. I changed cases thinking it was keeping the phone overheated. I was using the phone one morning and the next time I tried to use it no response, black screen and I never did get it to work again. I ended up paying full retail for replacement phone. They couldnt figure it out at AT&T. I didn’t feel that I did anything to cause the phone to malfunction and I had to pay for the replacement. NEW Weird phenomenon of my Iphone 3 GS. 2 times, my phone would not reopen. I tried plugging it, nothing would work. Then, 4-6 hours laters, trying to start it, I discover that I could if I was pressing on the back of the case!!! It happens 2 times in 5days. I will return it. I have it since 4 months, it’s well protected, never fall. Looks like overheating +- connecters problem… very weird because I didn’t get any problems other then those. C’est la deuxième fois que mon Iphone3GS me plante… Il s’éteint tout seul et il se rallume que 2H plus tard… Cela que commence à m’inquiété du coup je souhaiterais savoir si quelqu’un parmi vous a déjà eu ce problème et QUE FAIRE??? j’aimerai savoir quel iphone est le meilleur entre le 3GS blanc et le 4 .merci. offete , en parlant de surchauffe , moi je passe presque tout mon temps sur mon iphone a envoyer des SMS et aller sur internet , et aucune marque rosé n apparait. Moi j’ai un probleme avec mon iphone!! My IP 3G is great with one exception. Every hard or plastic case that I buy for it gets discolored black marks on the back and sides and corners of it. This black marks just appears out of nowhere. The cases are all new. One hard case I bought (designer) and one soft plastic case and they now have dark black marks all over them. HELP what is causing that please? It does not appear that the phone gets hot. Thank you. Switch off all ways the phone can connect to the internet, wi-fi, or cellular data. This way nothing in ur phone can connect to internet without ur knowledge and it will be fine. It gets hot because something in ur mobile is either downloading or uploading from internet. And if wi-fi is off and only edge is on, downloading on edge heats up ur phone wildly. Impressionnant de voire autant de commentaire pour ce problème de l’iPhone 3.
ouf je l’ai echappé belle! moi le mien il fonctionne bien par contre il chauffe beaucoup j’ai du lui mettre une coque! 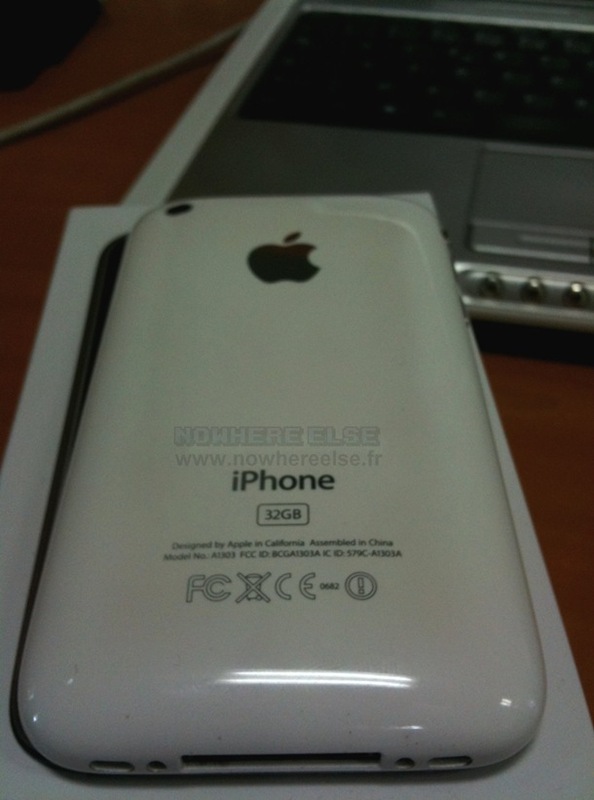 Mon iphone 3GS noir chauffe aussi beaucoup mais bon, sur le noir il est un peu plus dur de laisser des traces. les photos sont géniales en tout les cas! c’est clair avec une coque ça lui reussit mieux! en noir c’est pas mal!